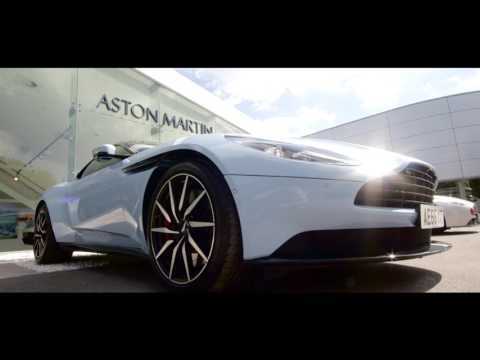 Located on the High Street in Harston, Aston Martin Cambridge is conveniently positioned and easy to find. We display a handpicked range of new & Assured used Aston Martins at our showroom and have a fleet of demonstrators available for test drive. We have a bespoke, dedicated Aston Martin workshop manned by Aston Martin factory trained technicians. Our parts department supplies genuine Aston Martin parts and also stocks many merchandise items from the Aston Martin Collection. We also have an Aston Martin Approved bodyshop who can repair your Aston Martin to factory approved standards. Our team are knowledgeable, passionate Aston Martin enthusiasts and we offer a highly professional, personal service commensurate with the marque we represent. Richard joined the motor industry in 2004 and has worked for Jardine Motors Group since 2007. For 7 years he has held the role of Sales Manager for various prestige brands including Bentley, Ferrari, Maserati and Porsche before being appointed as Dealer Principal here at Aston Martin Cambridge. Richard lives with his wife and 2 children on the Essex coast . Phil joined us in March 2015 after a 15 year career with both the Lexus and Jaguar brands in Cambridge. Prior to this Phil was in the British Army and saw active operational service in both Northern Ireland and the former Yugoslavia. He now lives a more peaceful existence in a cottage in the Cambridgeshire countryside with his long term partner and son. Sharon joined Jardine Motors Group 16 years ago as a Service Advisor. In 2015 she graduated from the Jardine Motors Group Aftersales Manager Development Programme and was promoted to the role of Service Manager at Aston Martin Cambridge in January 2016.